Welcome back to the Lyon’s den, with all its passion, music, and jaw-dropping performances! Three months have passed since Lucious Lyon’s (Terrence Howard) shocking arrest. Now, released from prison, he and Cookie (Taraji P. Henson) enter a hostile competition to dominate the music industry. Despite an ongoing feud between their sons Jamal and Hakeem, a stunning betrayal may unite the family against an outside takeover of Empire Entertainment Records. Meanwhile, Cookie learns a frightening truth about her new lover, and tragedy tests Andre’s newfound faith. 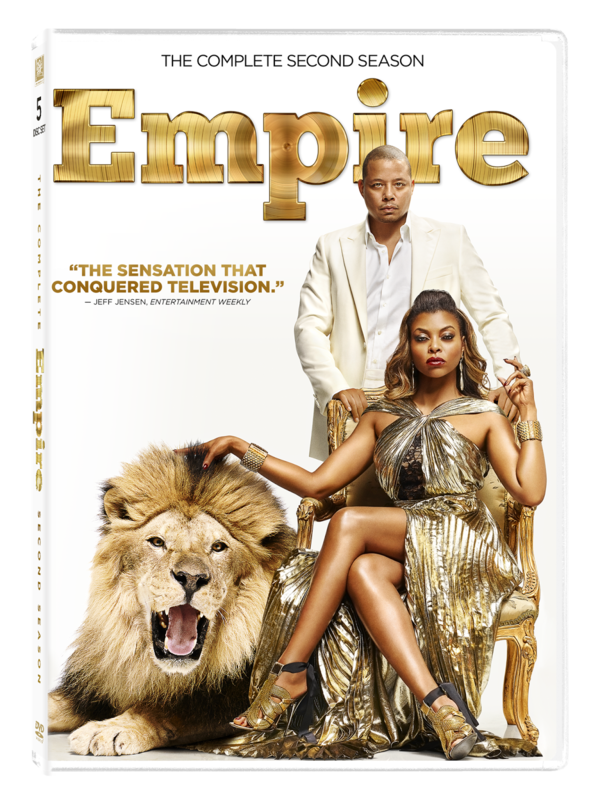 Featuring off-the-charts guest stars, the acclaimed second season of EMPIRE is here, along with exciting special features that grant you backstage access! 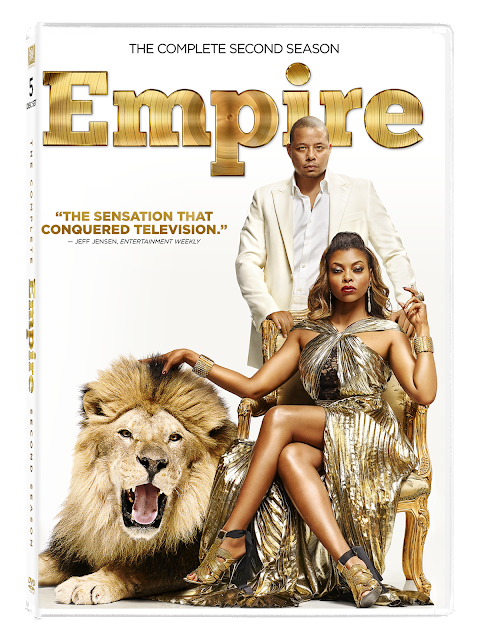 EMPIRE stars Terrence Howard, Taraji P. Henson, Jussie Smollett, Bryshere “Yazz” Gray, Trai Byers, Grace Gealey, Kaitlin Doubleday, Gabourey Sidibe, Ta’Rhonda Jones and Serayah McNeill. 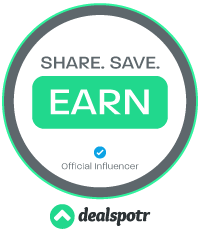 In addition to the regular cast, the series has featured guest appearances by a wide range of talented performers, including Chris Rock, Alicia Keys, Marisa Tomei, Naomi Campbell, Ludacris, Adam Rodriguez, Vivica A. Fox, Rosie O’ Donnell and Andre Royo. Season 3 returned September 21! Picking up where the last season left off, and it left off with a BANG, we dig deeper into the musical family of the Lyon's. I still think Cookie is the best character on the show. She is tough. She's to-the-point, and she doesn't take crap off anyone. She knows what is best for her boys, and for the music. Lucious, on the other hand, is arrogant, money-hungry and bent on destroying people. Even if it's his own blood. Makes you wonder if the music business really is that cut-throat. If it is, I can see why some people leave it and the spotlight all together. The music on this show is phenomenal though. So many stars visit the show, like Alicia Keys, and sing some beautiful songs that always seem to stick in my head. That is probably the best part of the show, the music. I do like the drama but it's the music I watch for. Some of the best tracks come on the show. I can't wait for Season 3. It's gonna be epic! What a great day to catch up, I always run out of time with the tv airings!